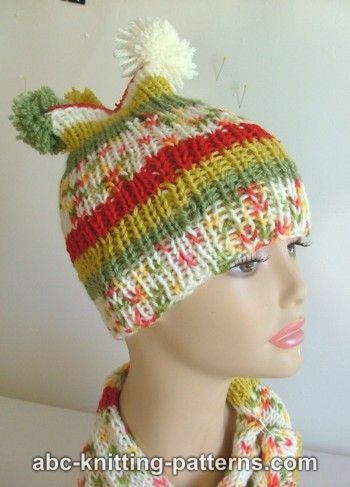 Size: One size fits head circumference from 18" (40 cm) to 24" (56 cm). This amount of yarn is enough for the hat and the Candy Stripe Scarf. Needles: circular needles # 8 (5.0 mm) 21" (52 cm) long. 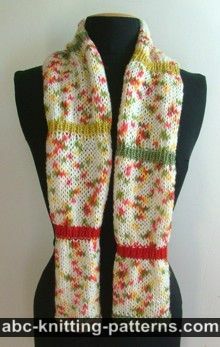 Start with color A: On circular needles #8 cast on 80 sts, join and continue to work ribbing 1 x 1 in rounds. Color D: Make 1 round. While working this round, place 4 markers: after the 1st, 20th, 40th and 60th sts. 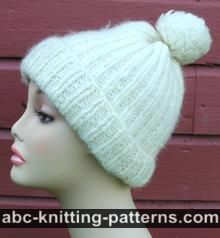 You will need a crochet hook, 3.5 mm, and 4 lengths of yarn, color D.
Fold the top of the hat and align the 1st and 3rd markers. Work 3-4 sc at each marker to join the points (see pictures). 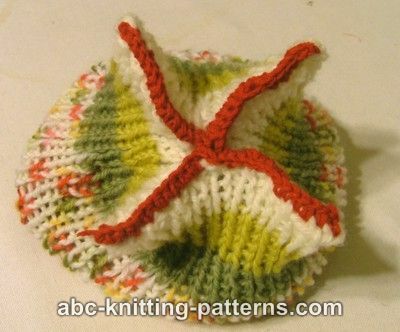 Now fold the top of the hat and align the 2nd and 4th markers. Work 3-4 sc at each marker to join the points. Work sc from markers 1 to 3 to close the top of the hat. 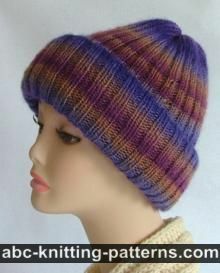 Then work sc from markers 2 to 4 to finish closing the top of the hat. 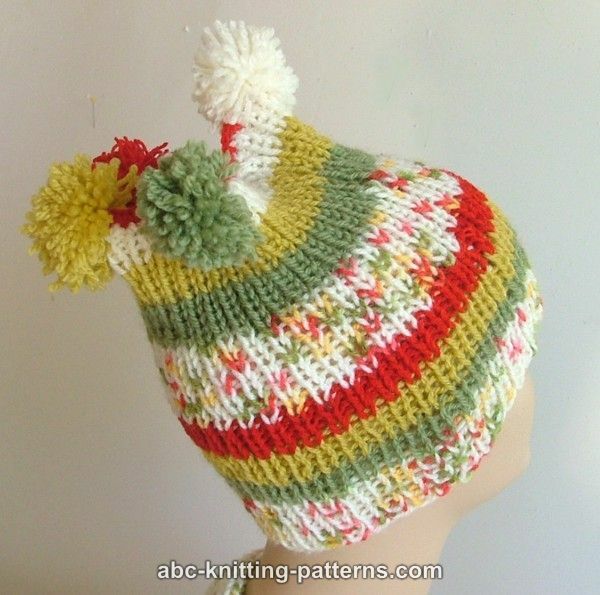 Make 4 pom-poms and sew them on the four corners of the hat top.